Beyond appearances and habits Europe remains largely to understand, and even more to build. 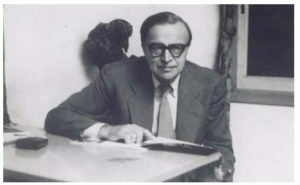 While the European Union is facing multiple “crises”, is often criticised for its lack of effectiveness or legitimacy, the “Europe Kojève 2018” symposium which will take place on 7-8 June will draw on Alexandre Kojève’s work, to better position the European building process in space and time beyond the mere injunctions of the present. 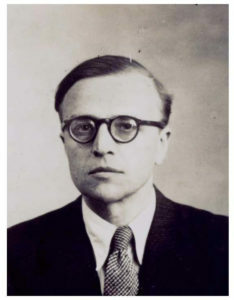 Kojève played an important role in France’s economic negotiations at international and European level. Paying tribute to him on the occasion of the 50th anniversary of his death (in June 1968 in Brussels), to his role as an extraordinary negotiator and philosopher, will help debating if and how Europe’s political authority could be strengthened. European public figures, academics, researchers and intellectuals familiar with Kojève’ work and the European Union, and psychoanalysts, will gather to examine together (by assonance, and dissonance if need be) key European developments in the light of analyses and notions he has developped (including those on the “end of history” popularised by Francis Fukuyama after the fall of the Berlin Wall and of the Soviet Union, and on a “universal and homogeneous State” as a prefiguration of globalisation). Precisely, while the task of building Europe may sometimes seem an almost impossible one, wouldn’t it be useful to bring together representatives of the three professions which Freud named “impossible” (ie those “in which one can be sure from the start of insufficient success”): education, government and psychoanalysis? Debating some of Kojève’s key notions may help better listen to desires and discourses in Europe today. That is to say what they determine – allow, limit or prohibit – in the relationships between individuals, public opinions, institutions and governments in the age of globalisation, empires and populisms. To register, please contact the Europe Kojève 2018 team at info@europekojeve2018.eu.